NOVI, MI (February 1, 2019) – The gymnasium at Novi Christian was decked out with posters, banners and red and silver tinsel. Their Homecoming court had just left the floor and the parents, students and other Warrior basketball fans were waiting to celebrate their 2019 Homecoming with a girl’s b-ball victory. However, the visiting Eagles wanted no part of that celebration. 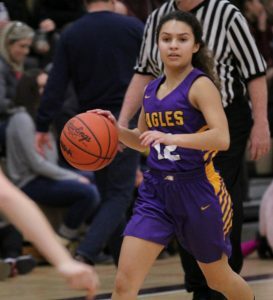 PCA withstood an early Warrior run, made their free throws, three-pointers and even a circus shot – as the Purple and Gold swept the season series with Novi Christian with a 56-45 victory. Unlike in th eir previous meeting back in January, Novi Christian was the team that started hot and led early in the first, 7-2. But PCA stayed the course and continued to work on defense and drive to the basket. PCA tied the game at nine before Anna Bosnack made a three to give the Warriors a 12-9 lead. A late hoop by Anna Fernandez cut the lead to one, 12-11 after the first stanza. The Novi crowd was still into the game, but the Eagles weathered the early storm and gained some confidence. 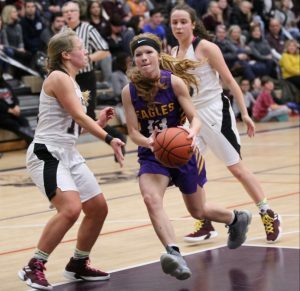 The second quarter was quite physical, and Novi Christian was called for many of the fouls – PCA was in the bonus for most of the quarter and gladly took advantage at the stripe. Both teams shot the ball well and PCA held a slim lead, 25-24 at the break. 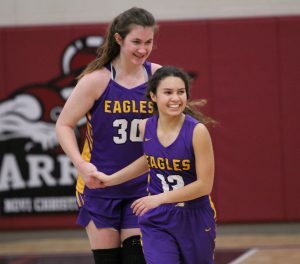 The Eagles had seven scorers in the first half – Anna Fernandez, who ba ttled a fever most of the day, had 10, Isabel Mossel, Harlee Collins, and Ariela Boboc had 3 a piece and Sarah Fernandes, Ella Godin and Rachel Costello, who got her first start of the season, had 2 each. Novi Christian was paced by Anna Bosnack who had 11 points, including 3 three-pointers. PCA tightened up the defense on Bosnack in the third quarter. The coaches sent a defender out to Bosnack to put a hand in her face and prevent the easy three-point look. That strategy paid dividends as she only had one hoop in that third period. Senior Chanelle Lochrie picked up the slack with long three’s and slashes to the bucket, to keep Novi Christian close. The Eagles matched the Warriors shot-for-shot in the third quarter and led after the third, 41-36. 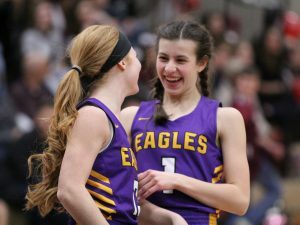 Collins, Fernandez and Isabel Mossel knocked down crucial three-pointers to maintain the Eagles’ lead. The fourth quarter began with the Warrior faithful imploring their team to make the final eight minutes count. Plymouth Christian remained resolute – their trapping defense forced turnovers and got NCA out of their rhythm. On offense, Isabel M ossel, Harlee Collins and Anna Fernandez were knocking down the threes and when the Warriors stepped out, they dumped the ball down low to Ariela Boboc. The over-aggressive Warriors were committing fouls and the Eagles were making them pay. A circus lay-in from Harlee Collins and the subsequent free throw gave PCA a comfortable lead. And one by one, Novi Christian had two of their starters foul out . 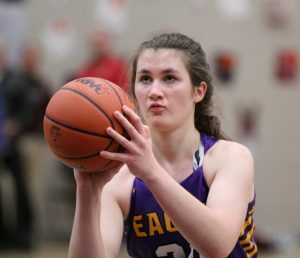 The Eagles made 16 of 29 foul shots for the game and cruised to a 56-45 win over Novi Christian. Pacing Plymouth Christian was Anna Fernandez who finished with 17, Harlee Collins had 14, Isabel Mossel had 13 and Ariela Boboc had 6. Ella Godin, Sarah Fernandes and Rachel Costello had 2 a piece. Ella Godin and Ariela Boboc had double digit rebounds and the entire team played aggressive, controlled defense. Novi Christian was led by Chanelle Lochrie with 16, Anna Bosnack with 14 and Rachel Bause with 10. 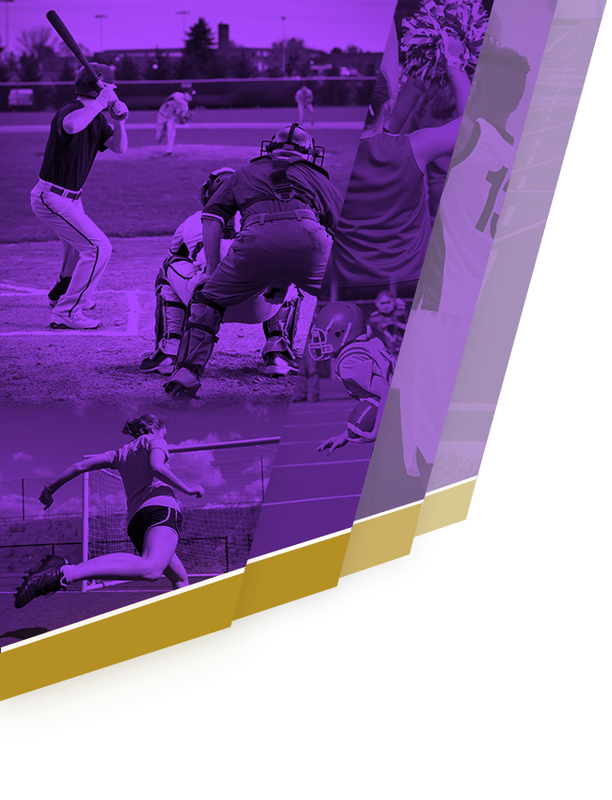 Plymouth Christian upped their record to 7-5, 3-3 in the MIAC Blue Division. 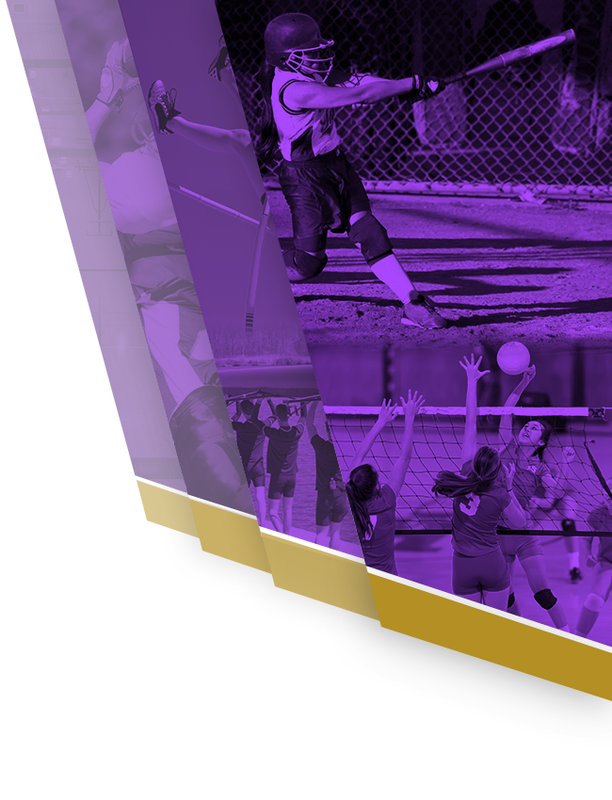 PCA returns to action on Monday against Rudolf Steiner – tip time is set for 6pm.